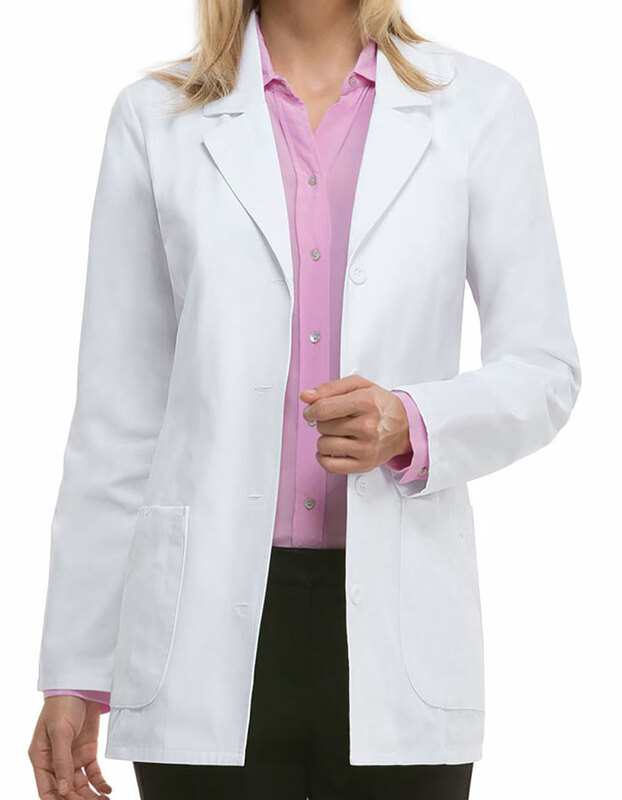 This classic fit fashion lab coat has a quality of a Antimicrobial property and features a notched collar, princess seams and front button closure. 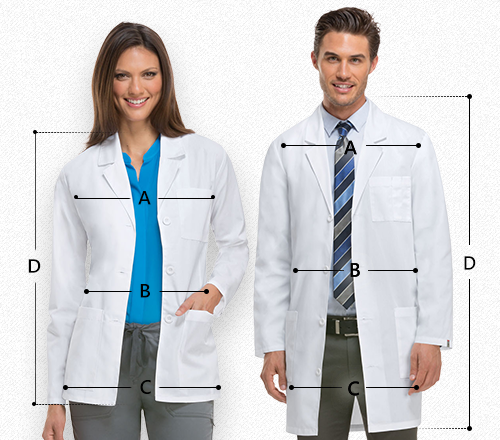 Also featured are two patch angled pockets and two pockets with a pleated detail look. 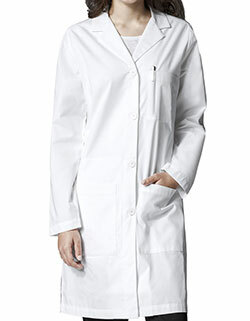 Back yoke, princess seams, and an adjustable back belt with buttons complete this coat. Center back length is 29".